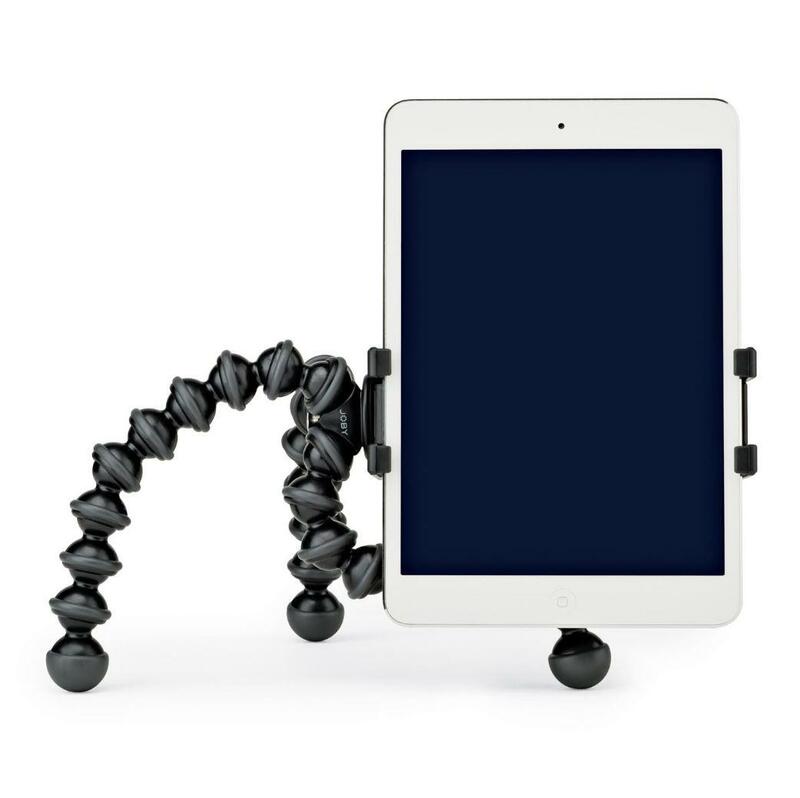 The black GripTight GorillaPod Stand for Smaller Tablets from JOBY provides a versatile mounting solution for smaller tablets 3.8 to 5.5" wide, with or without a case attached. 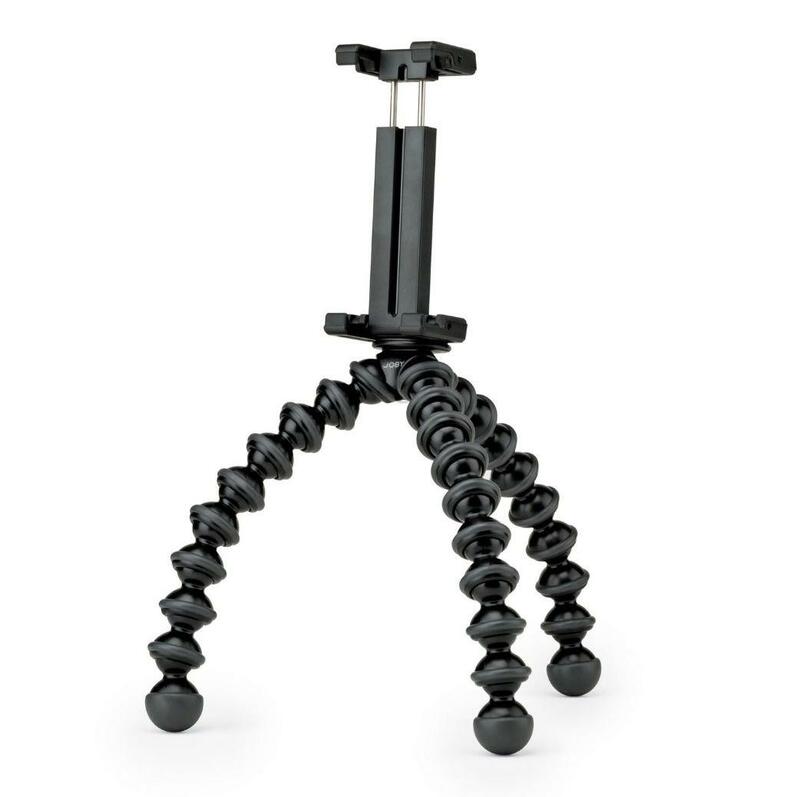 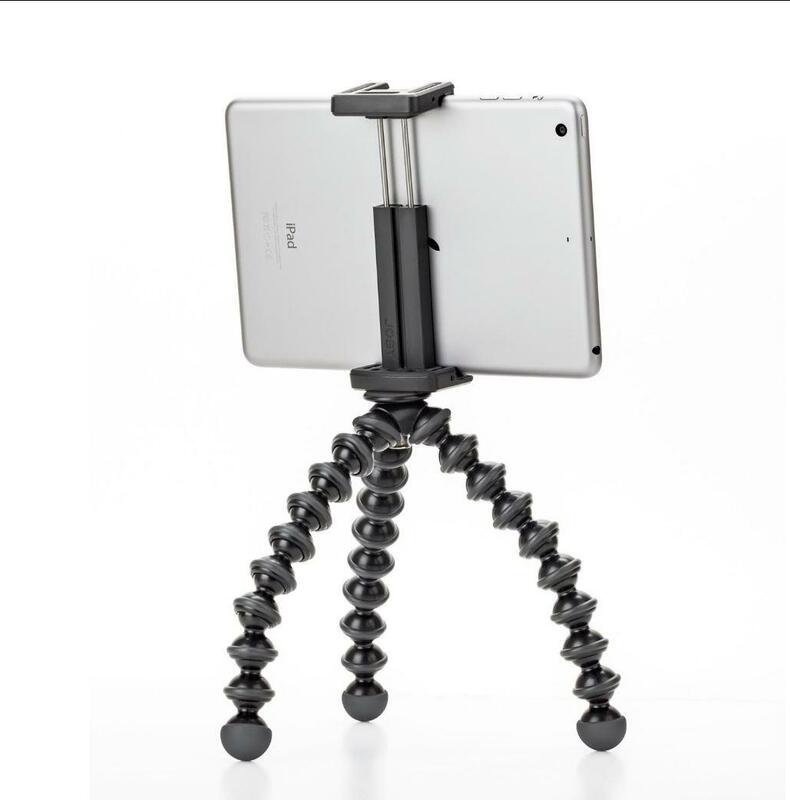 Paired with a GorillaPod tripod, this stand enables you to position your tablet in the desired viewing angle—wrap it around your leg, position it on a railing, and more. 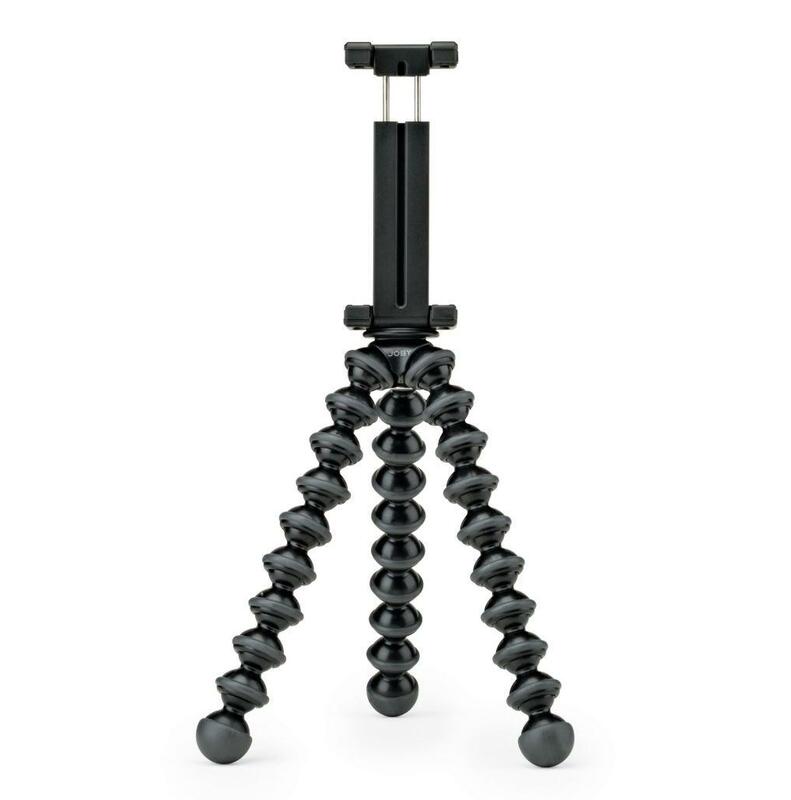 In addition to the included tripod base, this mount can also be connected any other industry-standard tripod using its 1/4"-20 universal thread. 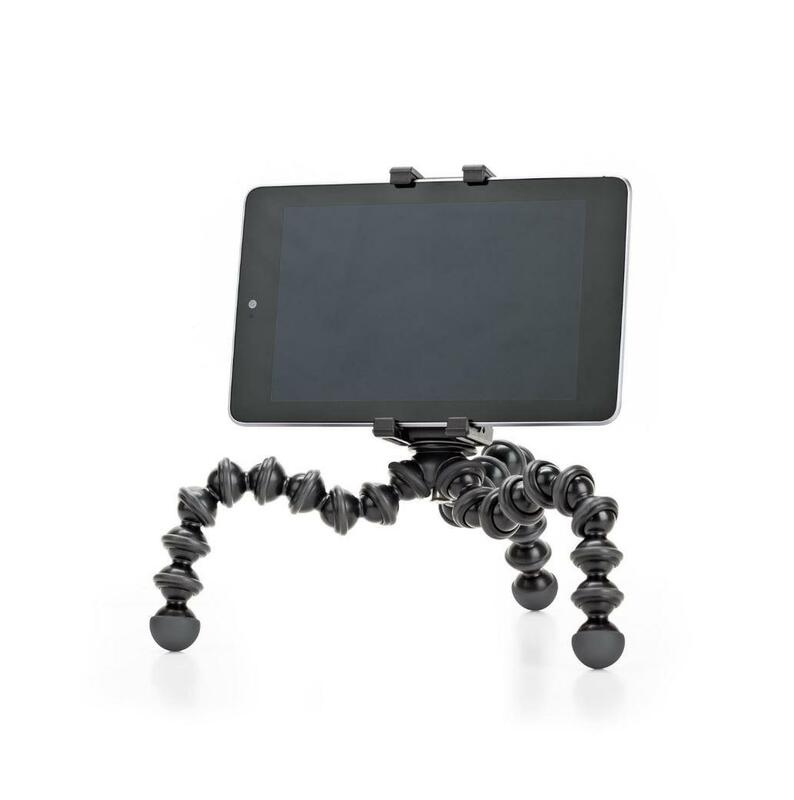 Rubber pads and durable polycarbonate-ABS plastic construction with steel internal springs secure tablet in place.